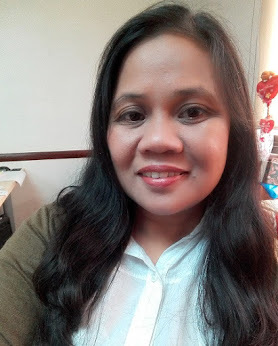 Pinay Mommies Community (PMC) is a continuously growing community of Filipina moms who share one passion which is blogging. 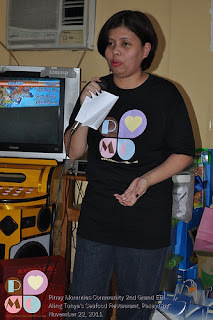 PMC started last January 21, 2008 as a blog post by its founder Ruby aka Pinay Mommy Online, then a domain and directory of its members were setup.A forum was also created but rendered obsolete with the advent of social networking sites, such as Facebook. After months of planning and organizing, the 2nd Grand EB of PMC was successfully conducted last November 22, 2011 at Aling Tonya's Seafood Restaurant, D. Macapagal Avenue Pasay City. A total of 48 mommies participated. Some came together with their husbands and kids. Some endured long hours of travel from North and South Luzon, Visayas and Mindanao. Three moms came all the way from US, Canda and Germany. The function room was filled with endless fun and laughter throughout the program. 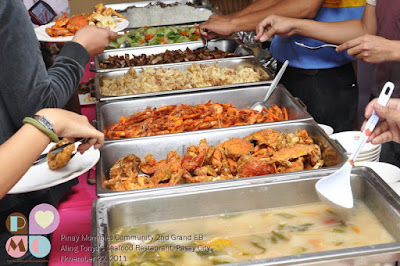 Our lunch buffet...lots of sea foods, yay! The opening prayer was led by Arlene while the welcome remarks was delivered by Divine. After that, Mommy Ruby shared the short history of the Pinay Mommies Community. 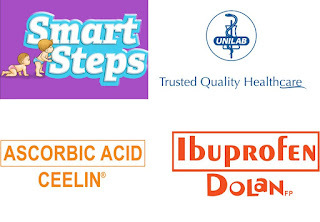 The event sponsors also gave short messages. During the second part of the program, our founder Ruby Ricafrente talked about PMC and its Vision. She introduced the future endeavors of the community which include charity works as well as the launching of PR Moms Network. 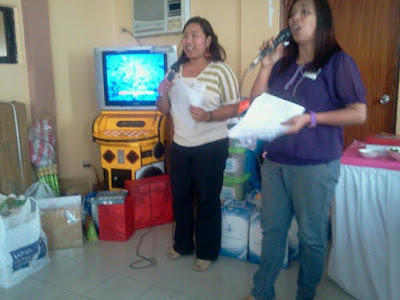 The room was transformed into the a Mini-Divisoria during the raffle and exchange of tokens. Every mom has more than two bags of goodies containing loot bags, raffle prizes and of course, tokens. Here's what I got! I also got a Php500 discount courtesy of KrazyPix Photobooth. 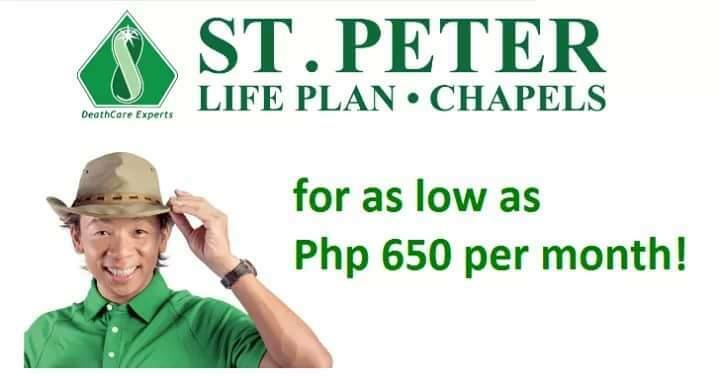 owned by Iris of Pinayads. I'd like to thank Ruby and Pehpot together with the committees for all their efforts in making this event a sure success. Likewise, thumbs up to all our sponsors, too! 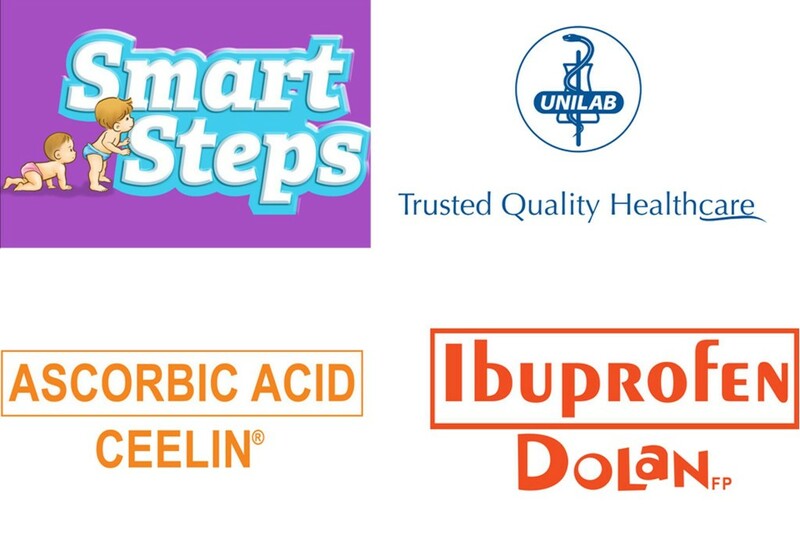 Being a mom with two kids (5 and 1 y.o) makes me more conscious about the safety of products I am buying Smart Steps is a new brand that offers affordable and safe baby products. I got this loot bag which contains Baby Fabric Conditioner, Bottle Cleanser, Disposable Toilet Seat Cover and Toilet Sanitizer Spray. 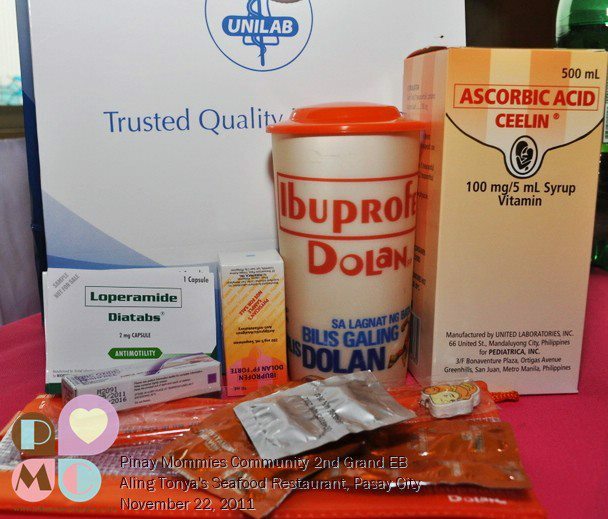 I am a fan of Unilab Products that why I am so thankful for this big, 500ml Ascorbic Acid Ceelin for my daughter. 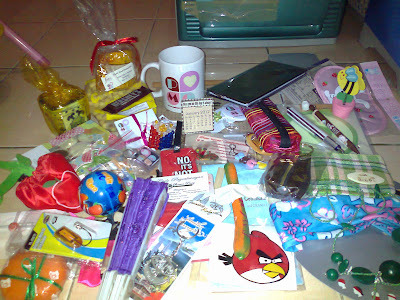 Plus... she's so happy with the Tumbler, pencil and pencil case, too. The bag also contains Dolan, which I also use when fever and body pains attacks my little girl. Aside from that there were about 10 capsules of Multivitamins Enervon (for me), Rashfree for diaper rash and Loperamide Diatabs. 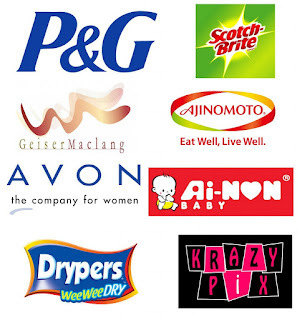 T-shirt and Krispy Creme Donuts from Geiser Maclang, Cleaning essentials from Scotch Brite, P&G products, Ajinomoto products also filled my ecobag. Again, thanks to all who made PMC 2nd GEB as one of the most treasured event in my entire blogging career! Thanks Mauie and Eidhra for the photos.